Please note that any cancellations must be done 48 hours before your arrival. Cancellations made within less than 24 hours (time limit) prior to the arrival date will incur on a 100% charged. If you decide to cancel your booking when you already checked-in it will incur on a 100% charge of the room price. Taxes IVA are not included in the prices ( IGV 18%) » (Impuesto General de Ventas). This fee is only for people who are living in Perú. According to Law Decree number 919, article 33 in Peruvian law, foreigners travelling within Peru for less than 60 consecutive days are exonerated from paying such tax in accommodation services. If you are a foreigner, you MUST show your passport and Immigration Card upon check in at the hostel in order to apply for this exoneration. Your reservation stands up to 3 hours after your Estimated Time of Arrival, after that we won’t guarantee your reservation. accept VISA and MASTERCARD with 6% charges. 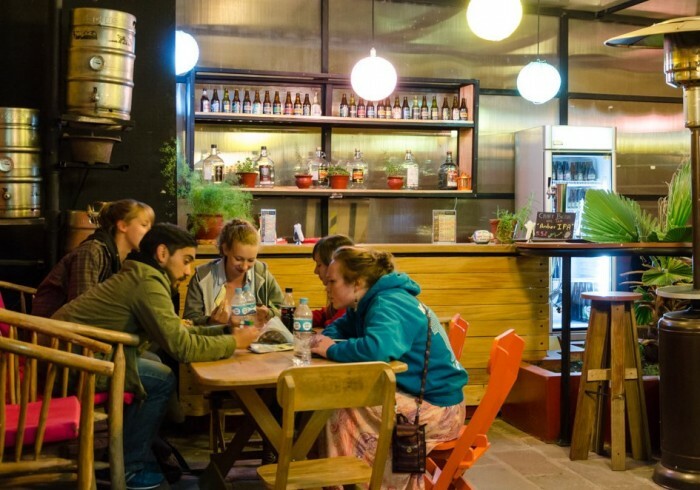 Dragonfly Hostels Cusco is a friendly place that offers comfortable accommodation. Amongst the whole team at Dragonfly we wish you the best time in the beautiful country of Peru.